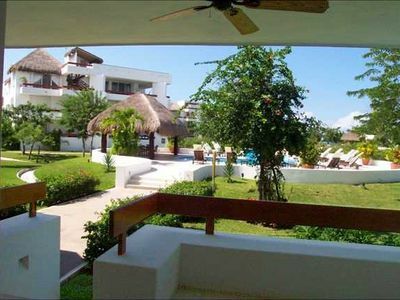 1BR Resort Vacation Rental in Playa del carmen, Q.R. 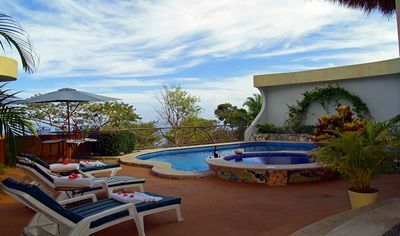 The One Bedroom Suite has one bedroom with a king-size bed, a gourmet kitchen, a living room with a sleeper sofa, dining room, one and a half bathrooms with one Jacuzzi tub, a wide terrace with a private plunge pool, and two TVs. 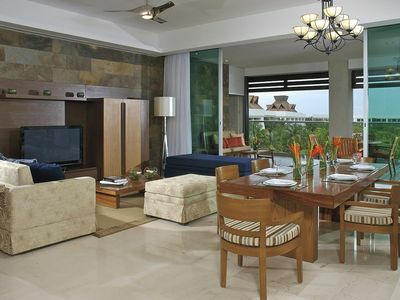 This Vidanta Grand Luxxe suite is a 1 bedroom, 1-1/2 bathroom, 1,920 square foot accommodation offering lavish living on a grand scale. 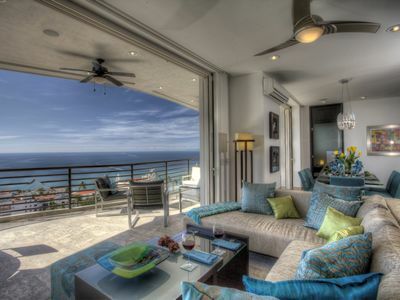 Plush furnishings, richly textured fabrics, incredible art and a sprawling terrace become the dramatic backdrop for an open and expansive living room, gourmet kitchen and dining room. 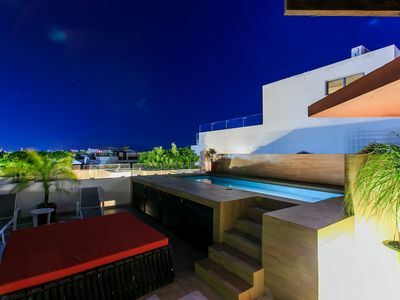 The Luxxe Master Villa features master bedroom with large jacuzzi tub, his and her sinks and separate shower with rainfall shower head, large wrap-around terrace, a plunge pool, gourmet kitchen with granite counter tops, wet bar and two 42' Plasma TVs. 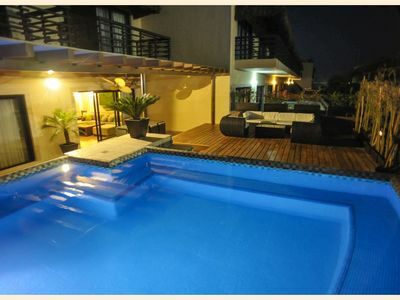 The villa comfortably sleeps up to 4 adults and 2 children. 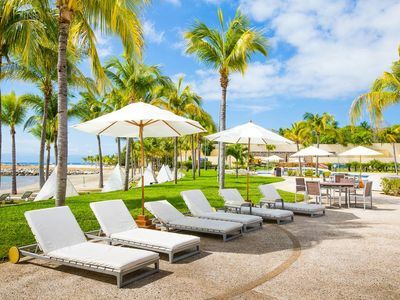 Other amenities include free access to acres of pools, Beach Club, Kids Club, Spatium Spa and Fitness Center, Tennis, Nicklaus-designed 18-hole golf course and an array of fine and casual dining. 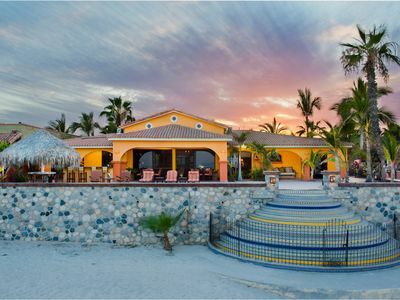 Also now on site at the resort is a spectacular new theater complex that houses Joya, a permanent Cirque du Soleil production that features a unique dining experience and show unlike any other in the world. 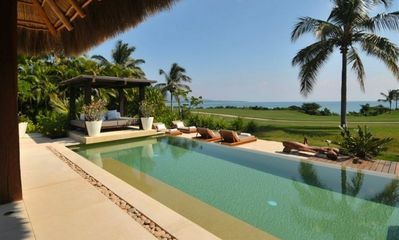 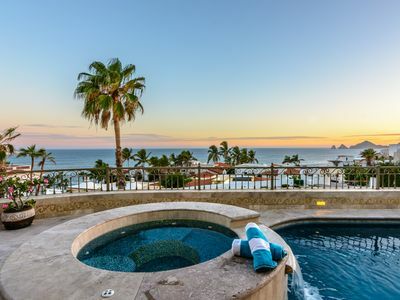 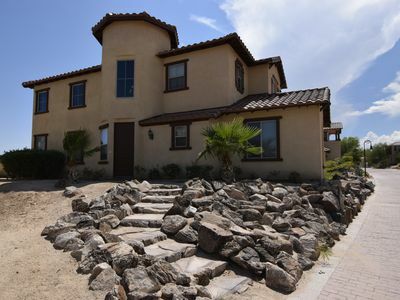 Cabo Home w/ Concierge + Private Pool & Beach! 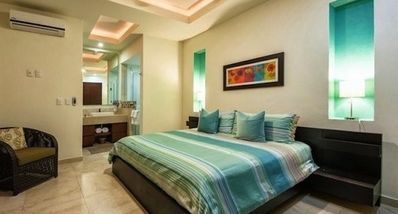 condo in Playa del carmen, Q.R. 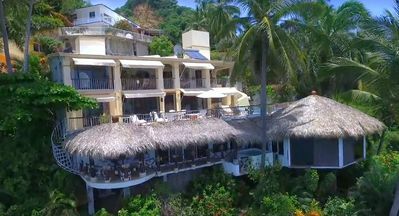 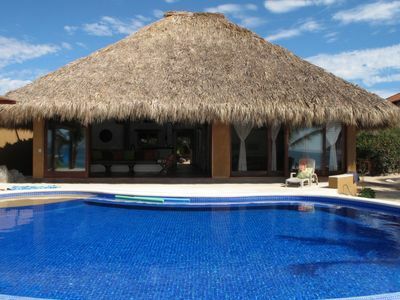 Welcoming Beach Front Hacienda Located In Town, Walking Distance To Everything. 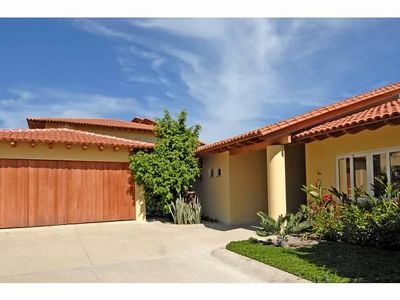 4 bedroom estate in Playa del carmen, Q.R. 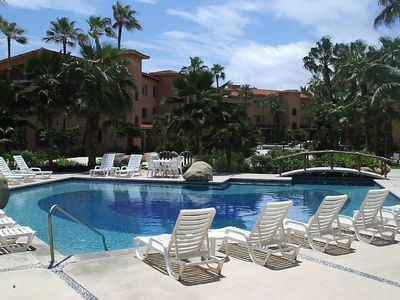 V399 Awesome Luxury Condos Unit 306! 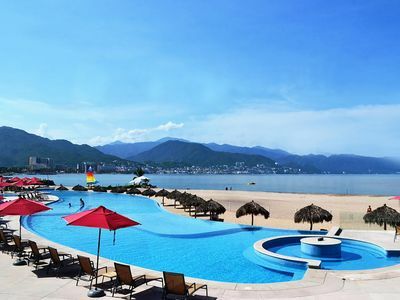 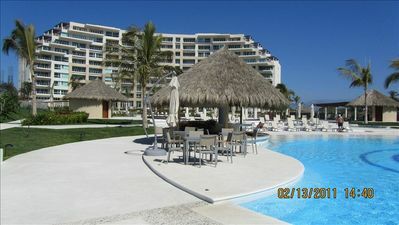 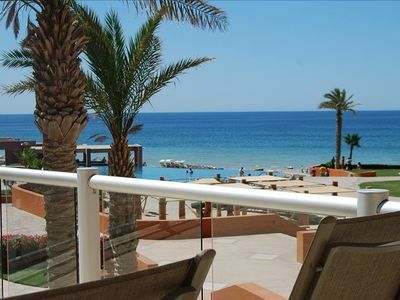 Great Beachfront condo Best Location, SUPER DISCOUNED rate 119 Per night!! 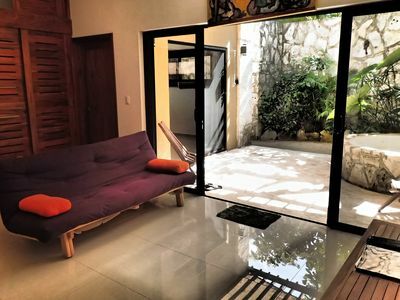 6 bedroom villa in Playa del carmen, Q.R. 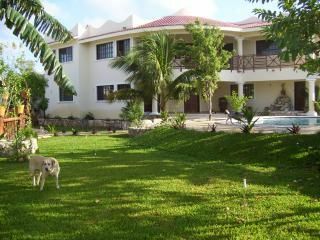 8 bedroom villa in Playa del carmen, Q.R.